How to Grow Decent Size Strawberries? How do you get a strawberry of any decent size? Mine are all small. Thimble size is the largest. I think variety and renewing the beds with fresh disease-free plants are important. ...but big isn't everything. I planted a variety called "Giant" and sure enough they produced the biggest berries ... But they were also the least flavorful, often with hollow cores. They were always the bottom-of-the-bowl fruits. This year's biggest berries in my patch are Seascape. Also if you let your plants expend energy producing runners ..that can take the goodness away from fruit size and fruit production. I find that each year mine get bigger. The first year they were tiny. This is my 3rd year and I'm finally getting some that are bigger than thumb sized. Looks like it is time to make a new bed. Maybe I could run the tiller through the old one and thin it drastically? I had a bed that thrived for 15 years, then I moved. I would use a metal garden rake every fall to pull out the oldest / biggest plants. I never encouraged or discouraged or pruned off the suckering. a rake, some fresh peat moss in the bare spots, berry on . . . The big problem is that strawberries are very prone to virus infections. Once they get into a plantation they will reduce the crop levels quite significantly. That's why growers replace their plants every five years or so with fresh runners that have been grown by nurseries that have been tested for virus free stock. You can get away with much older plantings if you are lucky....but plants aren't that expensive ...so why not start with clean stock. 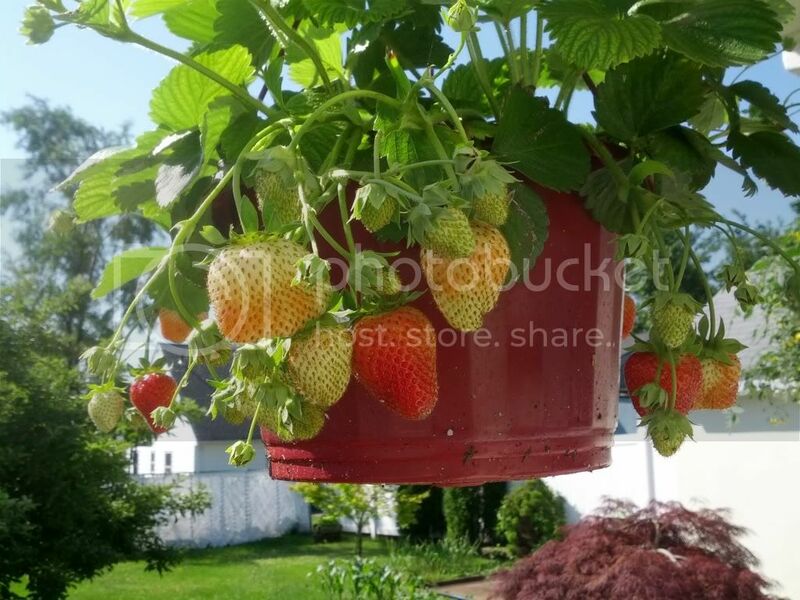 Re: How to Grow Decent Size Strawberries? These are getting pretty nice and big! I'm surprised considering they're container strawberries and I never had much luck with container strawberries. frankly I would not be one in pursuit of gigantic berries. in my experience the bigger they are, the more frequent they are hollow, and the less taste they contain. . . .
large is good, taste is better. There are a number of issues that can happen with strawberries. Renewing the bed is probably the best course of action to do next spring. they will recover much better if done in early spring. when you do I recommend you include a high nitrogen compost in the soil. this year I recommend encouraging nitrogen to enter the ground. if you use worm castings, compost, NPK fertilizer or what ever a nice even does a couple times over the summer should help you get recovery your harvest. I am having the same problem but mine are first year's fruit so I expect next year will be larger. I do trim back some suckers when they are fruiting so that more energy goes into fruit. We grew strawberries to sell for many years. The first year of a patch plants are planted, blossoms picked and runners trained. We did use straw for bedding but never set it on fire. The next three years were production, with the peak the second year. Then the plants were removed, a nd the plot replanted. Obviously plots were rotated to have constant production. I agree that a medium sized berry is often better in taste and other qualities. We did not use everbearing, but seasonal varieties. Everybody who mentioned variety being the key to large strawberries is correct. Also, I feel that most smaller varieties are much tastier. Seascape, a day-neutral, is midsized and with great flavor. 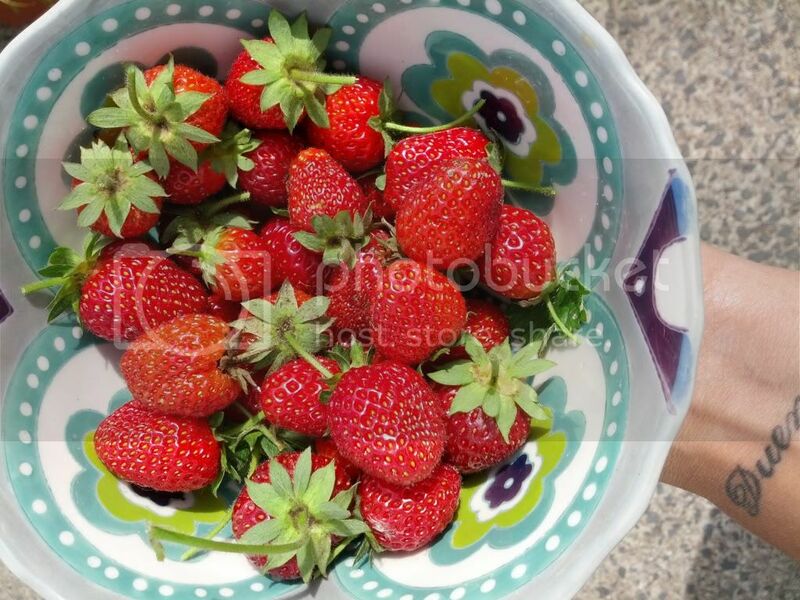 Can I grow strawberries in UAE? Will my Everbearing Strawberries grow this year?